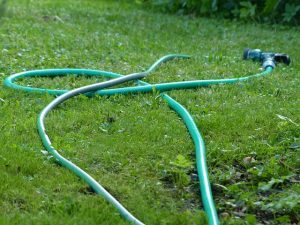 A killer in our midst: Legionella death from a gardening hose! We often report on the risk of Legionnaires’ disease from large cooling towers and the water systems of public buildings such as hospitals, schools and hotels. While Legionella bacteria is often present harmlessly in low numbers in ponds, rivers and lakes, it can rapidly multiply in artificial water supply systems. The bacteria will thrive where the water temperature is between 20°C and 55°C (68°C – 113°C) and where there are impurities such as rust, algae or limescale that the bacteria feeds on. The truth is that Legionella can build up in unlikely places where the conditions are right. In February this year, 63 year old Stephen Clements died from Legionnaires’ disease after apparently contracting it from a garden hose. It is thought that he developed the fatal illness after inhaling toxic Legionella bacteria in a fine mist of water which he was spraying. 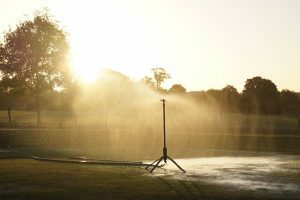 According to his wife, he had left the hose extended across his lawn in sunshine, at his home in Felbrigg near Cromer, Norfolk. He had last used the hose a month earlier and left it with water sitting still within its length. While the hose absorbed the heat from the winter sun, the perfect conditions were created for the bacteria to take hold in the still water. The Royal Horticultural Society advises gardeners to drain hoses after use to avoid the risk of Legionnaires’ disease. 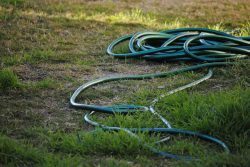 Gardeners are also advised not to leave hoses rolled out in the full sun because of the risk of Legionella bacteria growing in warm conditions. The victim’s wife, Alison Clements said, “Within a week of cleaning the terrace of our cottage with a stiff broom and a garden hose, my husband Stephen was dead. Mr Clements had used a sweeping broom to create a fine mist from the hose. This was the second vital element that allowed the bug to get into his lungs. While drinking water that is full of Legionella is not advisable, it will not lead to the contraction of Legionnaires’ disease. It was reported that tests by the environmental health agency at North Norfolk District Council showed dangerous levels of legionella bacteria in the hose, but nowhere else in the house. Stephen’s symptoms began with what seemed like an upset stomach and quickly developed into pneumonia. His wife said that his heart rate was accelerating, his kidneys began to fail and the hospital told her that antibiotics were not working on the pneumonia. Death followed swiftly after. A North Norfolk District Council spokesman said: “North Norfolk District Council was asked by Public Health England to investigate Mr Clements’ case. “This involved taking water samples from the Clements’ property and, although Legionella bacteria were found in the hosepipe, tests associating that strain with Mr Clements were inconclusive. Although rare, Legionnaires’ can be caught from contaminated showers, sprinkler systems and spas. What this case in Norfolk shows is the seriousness and the ruthlessness of the threat. The conditions for the breeding of Legionella within water along with the aerosolisation of water so that it can be inhaled can occur almost anywhere. If those conditions do occur then it is only a matter of fortune whether somebody contracts the illness of not. 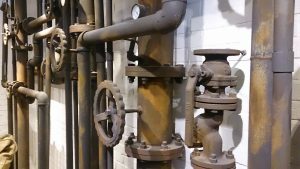 If you are responsible for a large building, where the risk is more likely, then regular checks of the water systems are essential. Don’t wait for an outbreak! Get in touch and book a survey today.